← K&Co – A Retrospective Look At Toys. 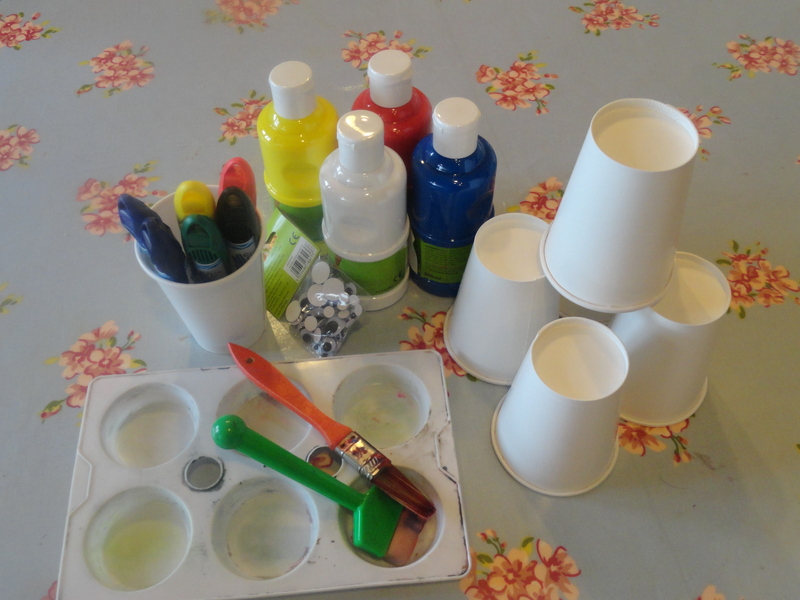 Craft Post – Paper Cup Skittles. Paper Cup Stacking Skittles! Yey! 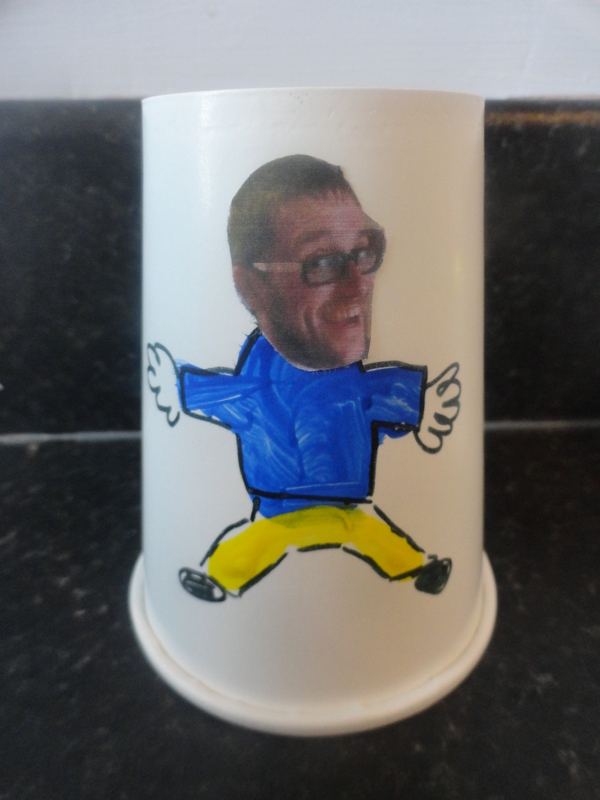 On a whim whilst doing the supermarket shop, I bought some plain white paper cups – very cheap they were too. Here’s what we did with them. 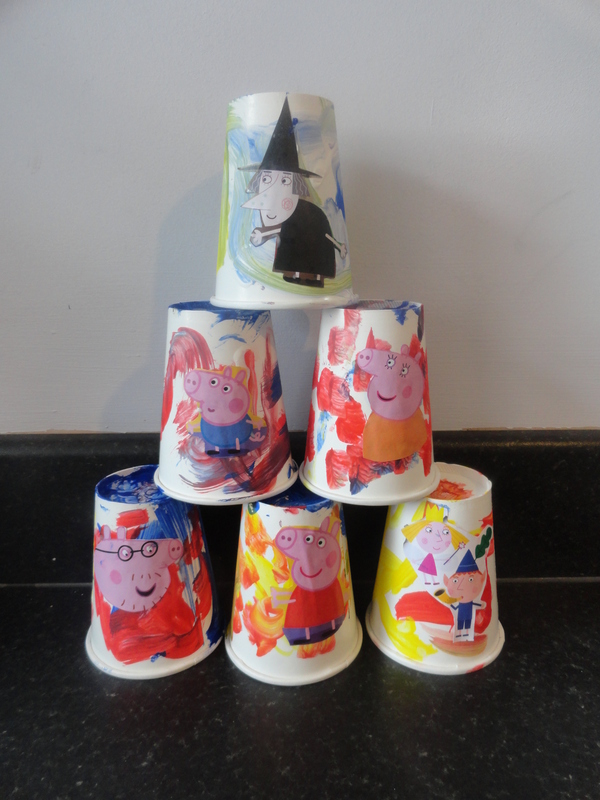 Paper cups – a plain colour is best. Decoration (if you wish) glitter/stickers/googly eyes. It’s fairly self-explanatory really. Let them decorate their cups however they wish. Then, when they’re dry, stack ‘em up and knock ‘em down! Gibby decided to go for a fetching blue/red/yellow random combo. . . 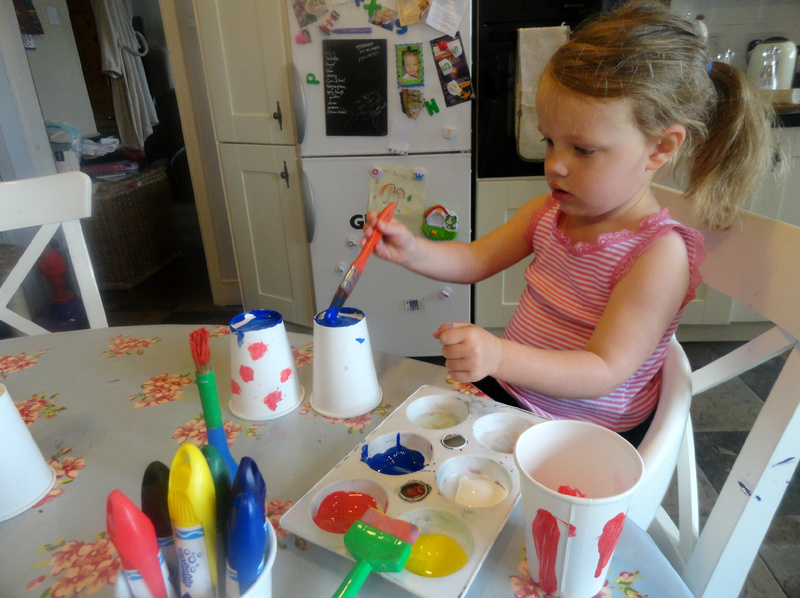 Younger toddlers might try hand print decorations, whereas older children might want to do a “proper” picture? Or maybe you could cut out family faces to decorate hand drawn bodies (illustrated by Mr Waterbirth Please below) ? . . .
Not only did she LOVE stacking them all up and bashing them down with a ball, but she also liked it when I put them all level on the floor, hid something under one of them while she looked away, then jumbled them up and she had to find the surprise. Bless. We”ll have to make some more soon I suspect, they’ve been played with so much. 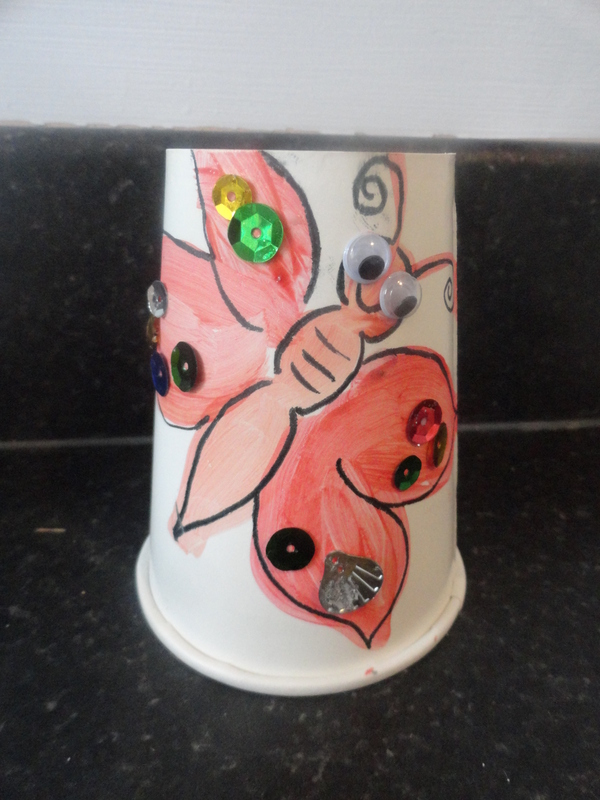 I guess the beauty of this is not only that it’s cheap, but you can make the decoration as easy or as intricate as your child wants. AND it doubles as a fun game or two. Let your imaginations go . . . Christmas ones would be good – might do that next time. Let us know how you get on!